There’s nothing more reassuring than the natural light projected from the moon on a cloudless night. You’d really love to have this every time you are out there running, hiking camping or simply biking on a quiet winding road. Unfortunately, you cannot have this all the time; some nights are just totally dark and you could really enjoy the help of a flashlight. While you seriously need a flashlight, you cannot hold it in your hand and run at the same time. It is not only hectic but also not fun at all. It is because of this that you will badly need a headlamp. Headlamps are ideal for running, biking, hiking or camping because you will hold them using your head while your hands remain free to perform other tasks. These lamps are comfortable, lightweight and adjustable, meaning they are perfect for running. Headlamps are, however, so many in the market that choosing the right one can be a problem. Fortunately, we’ve got you covered. Adjustability: Go for a headlamp that is easily adjustable. This will make it fit easily on you or your running partner no matter the size of their head. Some headlamps are adjustable at 45 degrees while others can go up to 60 degrees. So, go for one that can easily be adjusted at the right angle to focus on where you want it to. Furthermore, the headband should be stretchy enough to fit your head well and comfortably. Is it Lightweight? : Since you are going to use this headlamp for running, it should not be bulky. Rather, it should be compact and lightweight to enable you to run or hike with it as if you are not wearing anything at all. The last thing you need is a bulky headlamp that will weigh you down while going for your evening runs or biking. Water Resistance: Whether it is for camping, hiking, biking or running, a good headlamp should be waterproof. 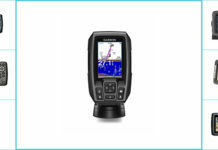 This will enable you to use it even in wet weather. You don’t want a headlamp that will go off in the middle of nowhere if it starts to rain while you are running. So, a water-resistant headlamp can still serve you even when the rain is soaking through. So now that you know how to find the best headlamp for running, it is time you consider your options. There are several brands on the market but we have carefully narrowed it down to only the best 10. Take a look. Are you tired of running without seeing what lies in the dark shadows ahead? Run safer and faster with the BoldBrite LED Flashlight with Reflective Band Headlamp. It is compact and lightweight; you won’t even feel you have it on while running. In addition, it features a stylish and reflective headlamp, which boasts a curved panel for a more comfortable fit. 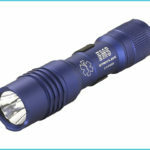 The flashlight is also waterproof, shock resistant, and durable, meaning it is ideal for indoor and outdoor activities. It is super bright with 120 lumens, 4 settings for white, strobe red, bright white, and red. Furthermore, it comes with 3 Duracell AAA long-lasting batteries. Lighting EVER Headlamp Flashlight is a rechargeable headlamp with a total battery capacity of 1200mAh. It comes with a USB cable that you will be able to use for recharging. The headlamp features a humanized design, so it can be rotated 45 degrees up or down depending on your needs. It is bright enough with 150 lm LED that can light your way up to 150m. Plus it has 5 different lighting modes, so you can adjust from low light, through full lights to flash light. The lamp is waterproof, meaning it cannot be damaged by splashing water. 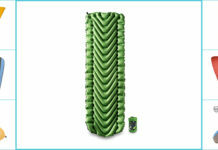 Also, it is lightweight, adjustable and elastic, making it suitable for camping, running, hiking or even cycling. The best thing about headlamps is the fact that they leave your hands free to perform any task. And Cobiz Brightest 4-Modes LED Headlamp works exactly the same way. It is a rechargeable lamp that will offer you a reliable hands-free convenience to allow you to run or do other things freely. It features different lighting modes to provide you with an array of brightness to choose from. It is also waterproof; therefore, you can use it even when the rain is soaking through. Plus the lamp features an adjustable headband, making it fit for use by anyone in the family; kids and adults alike. The best headlamp for running is one that is made of strong and durable materials that can withstand the tough outdoor environment. The LuminoLite Ultra Bright CREE LED Headlamp is that kind of lamp. It is water-resistant, and, therefore, it promises to remain functional even when it is raining. Well, it is for this reason that the headlamp is appropriate for hiking, camping, and even night fishing. It has a long battery life and features easy to use control buttons. The lamp looks and feels great; thanks to the comfortable head strap that is stretchy and adjustable. The angle of this headlamp can be adjusted 45 degrees without a problem. Improve your visibility on those dark early mornings by getting yourself the Aennon USB Rechargeable LED Headlamp Flashlight. It is high quality and best performing headlamp; thanks to the 220 lumen boosting power. In addition, it is strongly built and can tilt up to 60 degrees, giving you more room to adjust it according to your preference. Say bye to using batteries since this unit is rechargeable and can provide 30 hours of continuous lighting when fully charged. It is USB and can be charged through any USB port for only 3 – 4 hours. It is waterproof and, therefore, perfect for use even when it is raining. Safely perform any task with the Luxolite LED Headlamp Flashlight. It is an easy-to-use headlamp with 2 push buttons that will let you select either red or white light. You can instantly set the brightness of the lamp with a quick press flashlight. The unit is safe and comfortable to have; thanks to the elastic and adjustable headband that can fit freely on any head size. The headlamp once mounted, can tilt down easily to focus just where you need it to. 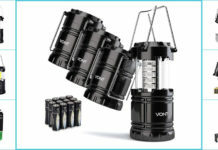 It is compact and durable outdoor gear that comes with AAA Duracell batteries. It will no doubt keep you going for several hours without a frequent battery change. Whether you are going for a run, hiking, camping or caught in an emergency blackout on the road, the SmarterLife Products CREE LED Headlamp is appropriate for you. This is because it features a lightweight design to help ease your movement to enable you to get home quickly and safely. It is well built and water resistant to give you maximum operation even in wet weather. Furthermore, it is made with adjustable straps that can fit well for both adults and kids. The unit comes in numerous colors that will blend perfectly with your desired attire if you are a fashion person. The Foxelli Headlamp Flashlight is a model built to last. As a result, it is made from durable materials that will make it last longer than other units in its category. It is waterproof; hence, it can work and stand against all odds including water splash. The flashlight also features an ergonomic elastic design that makes the headlamp adjustable and comfortable to have around your head. Besides, it is lightweight, thereby, perfect for a long distance runner. Plus it comes with 3AAA energizer long-life batteries to give you maximum performance for several hours. Take your running activity to the next level with the Aennon Headlamp Flashlight with Red Lights. 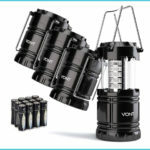 It has 4 different light modes to enable you to get the exact brightness you need for any use through a single button. What’s more, the headlamp is able to tilt up to 90 degrees to focus the light where you need it to be. It has 3AAA batteries, making it ideal for emergency situations. 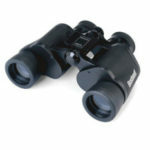 It is also durable and water resistant, meaning it is great for indoor and outdoor use. The flashlight is suitable for both adults and children. The Vitchelo Headlamp with White and Red LED Lights (V800) is an excellent headlamp that has been tried and tested for high performance. 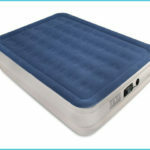 It comes equipped with 3 AAA totally new batteries that can go for up to 120 good hours. Ideally, it is an easy-to-use unit with 2 separate buttons to allow you to choose either red or white lights. This headlamp is also durable, lightweight and adjustable. 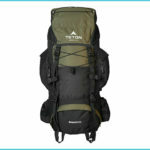 Therefore, it is ideal for hiking, camping or caving. 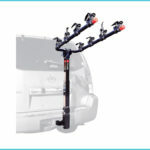 It is for this reason that the unit is great for use by adults and kids as well. Headlamps are good for running and can also be used indoors, especially during an emergency. You can as well rely on them to help you walk your dog at night. However, not all headlamps work great. And that’s where the guideline and reviews above come in handy. Through them, you will be able to find the best brand.